Incredibles 2 Merch – Will You Be Buying Your Own Super Suit? Well done, super-fans! You’ve waited patiently for over 13 years, and now Incredibles 2 is only half a month away! Have you noticed all the new merchandise appearing on store shelves? Of course we were all expecting the Disney Store to come out with a good amount of Incredibles 2 merch, but we’re loving the variety of their range! You can browse their selection here. Some of my personal favourites have to be the Incredible Mom and Dad mugs (and yes, the UK versions switch ‘Mom’ for ‘Mum’!). Father’s Day is on the 17th of June this year, which just happens to fall on Incredibles 2‘s release weekend. Perfect Father’s Day gift, perhaps? Shop Disney also has plenty in the way of toys and action figures, including a Jack-Jack and Raccoon Boxing Puppet Set – ridiculous, in all the best ways. There are also super-costumes and super-t-shirts for the whole family. But if you’re looking for Incredibles 2 merch, then your search doesn’t need to stop with the official Disney store! Walmart are selling this amazingly detailed Jack-Jack doll, which comes with his raccoon nemesis (although they look like they’re on much friendlier terms here). We already know from the end of the original The Incredibles that Jack-Jack has gained a large variety of somewhat unstable superpowers – this doll takes inspiration from this by being able to change colours to replicate some of his different powers, such as teleportation and electricity. Walmart are getting in on the action too, selling Incredibles 2-themed bedding, figures, and playsets. How much Incredibles 2 merch do you already own? Will you be arriving at the theatre on June 15th in your newly bought super suit..? We’re pretty sure Edna Mode wouldn’t be too happy about us buying supersuits from anywhere but her own studio, but at least we’re trying our best. Happy Incredibles Day! Incredibles 2 is just a tad over a month away – Pixar are building the excitement by releasing more and more teasers, merchandise, and offers, and even announcing today (May 14th) as Incredibles Day. So what exactly does Incredibles Day entail? 2. There’s an exciting Twitter giveaway going on! If you live in Los Angeles, New York, Chicago, San Francisco or Philadelphia, and you’re a fan of The Incredibles (which we’re sure you are), then follow the Twitter link below to enter the giveaway and be in with the chance of receiving a surprise today! The surprises on offer are special edition posters, collectable merchandise, a pair of tickets to see Incredibles 2 in IMAX, or even a trip for two to the Incredibles 2 premiere in LA – flights included! The flights are being provided by Alaska Air, the company that Pixar teamed up with to create their super Incredibles themed plane. We’re dusting the cobwebs off the Woody’s Round-up feature! Simoa and Joanna are here to do a brief run-down of all things Coco! As the release date edges closer, there’s plenty of cool and exciting things to look forward to, and one of these is merchandise. The Mystery Mini series is extremely cute, but super detailed as well. 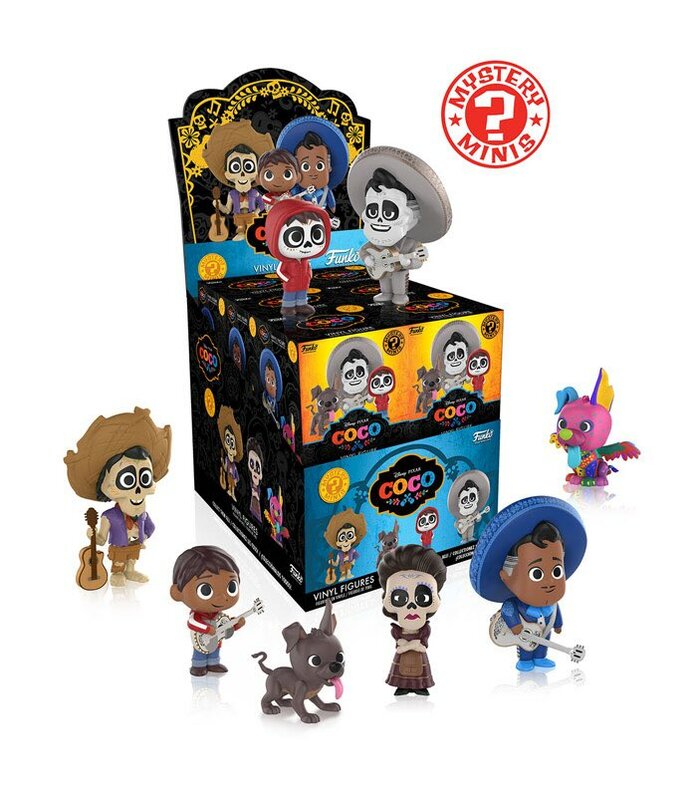 The Dorbz series includes a glow-in-the dark Miguel, though it’s limited and available only at Toys “R” Us. And feast your eyes on the Pop! Vinyl series. Don’t miss out – these Funko pops are available for purchase at Toys “R” Us and Hot Topic. Coco wrap party: The film is officially complete! A wrap party was held on the 14th – crew members celebrated their hard work finally paying off, and people were treated to a screening. Talented animator and art director Dice Tsutsumi, who has previously worked on a number of Pixar films such as Toy Story 3 and Monsters University, posted a tweet which shows us the theatre where the screening took place. It’s exciting to see all the positive comments and ‘mini-reviews’ that people have been posting on Twitter after the wrap party. It appears certain that Coco is going to be full of heart, bursting with love, emotion, and character at every seam. Seeing the crew exhibit such a huge amount of pride in their work is very moving, and is sure to make Coco feel all the more special. Hot logs we got a good one with Coco. If 2017 has left you as battered and bruised as me, it’s a bowl of exactly what we all need right now. Saw @pixarcoco . It’s one of our finest, most emotional films, made by 3 heroes of mine. It soars, at a time when we need music. Incredible. You can see all of Pixar’s other Hispanic Heritage Month posts on their Instagram page. “Remember Me” Jazz Performance: Ernesto de La Cruz’s signature song was featured on ABC’s Dancing With the Stars Monday night. The song received a proper showcase, with the colorful costumes and dancing adding some visual flair. Watch the clip below. Hollywood Film Awards: Coco has also won its first award! The film will be honored on November 5th, although its yet to be released. We’re sure it’ll gain more accolades once the world sees it! Read more about the HFA here. 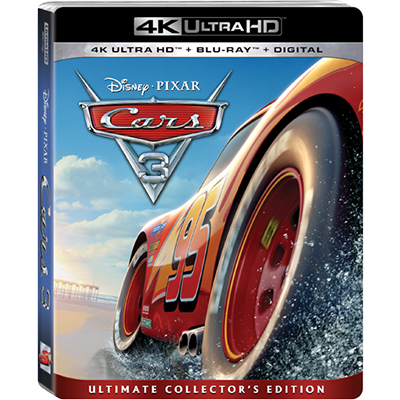 Cars 3 zooms onto Blu-ray and DVD! Coco is still a month away from its long-awaited theatrical release, but Pixar’s 2017 summer flick is available on digital just next week. You can relive the adrenaline fueled adventure of Cars 3 with our favorite reformed rookie #95 and his awesome new trainer, Cruz Ramirez on October 24th. The DVD and Blu-ray’s release date is set for November 7th. 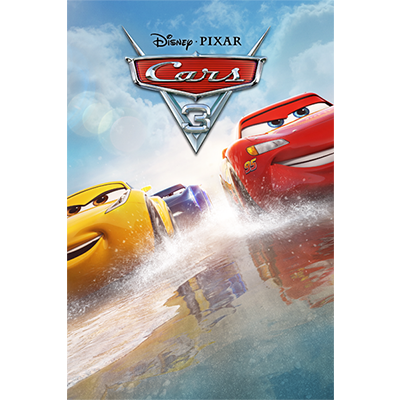 As expected with Pixar home releases, there’s tons of exclusive features and bonus content that’s sure to be as rewarding as watching the film itself. Which of these tantalizing options will you be picking up? Be sure to let us know! 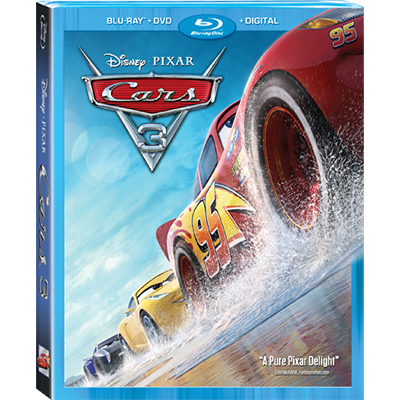 And have the ride of your life when Cars 3 hits digital on October 24th and Blu-ray and DVD on November 7th. We’ve all been eagerly anticipating Coco, which is still more than a month away from release. We’re expecting to be fully immersed in another gorgeously crafted Pixar world. With Lee Unkrich’s latest feature, we’ll be journeying to both Mexico and the Land of the Dead. But experiencing the film extends beyond the theater. October 28th: Dia de Los Muertos festivals in Los Angeles, Oakland, Houston, Dallas, San Antonio, Phoenix, New York City and Chicago. October 28th-29th: The Camp Flog Gnaw Musical Festival in Los Angeles. Camp Flog Naw was started by rapper and artist Tyler, the Creator, who’s also a huge Pixar fan! Disney stores and theaters beginning on November 22nd, though the exact locations are yet to be determined. This is an excellent way to experience yet another magical world in an entirely new way, which is what we’ve come to expect with Pixar. First Wave of ‘Monsters University’ Merchandise Now Available! As the saying goes, "another Pixar movie, another sea of toys, games, clothing and merchandise." With the countless colorful characters of Monsters University, there’s no doubt Pixar’s newest sequel will be garnering a big merchandising blitz. So big, in fact, that it’s already begun; the Disney Store website has just launched a section devoted to Monsters University, meaning the first tie-in products for the upcoming film are now available! There’s definitely some cool stuff here, from a myriad of plushies to action figures for most of the major characters. Some surprisingly sleek university-themed mugs, cases, water bottles, and padfolios are also up for sale. In addition, some existing products from the original film are still available. See the complete selection for yourself here! More items will certainly be rolling out soon, but this is a promising start to Monsters University‘s merchandising treatment. Look for more when the film debuts in just under two months. Will you be picking up any MU merch? 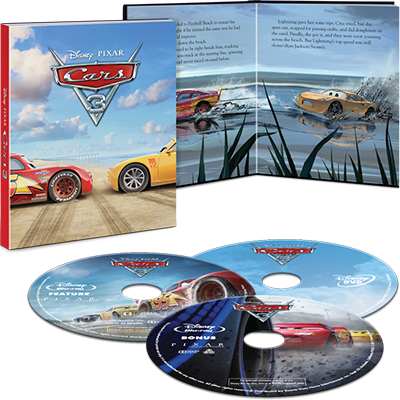 Cars 2 Merchandise Preview: Toys, Comics + Video Game! Pixar fans may be torn on the merits of a second entry in the Cars saga, but one thing is undeniable: the franchise is a proven money maker! 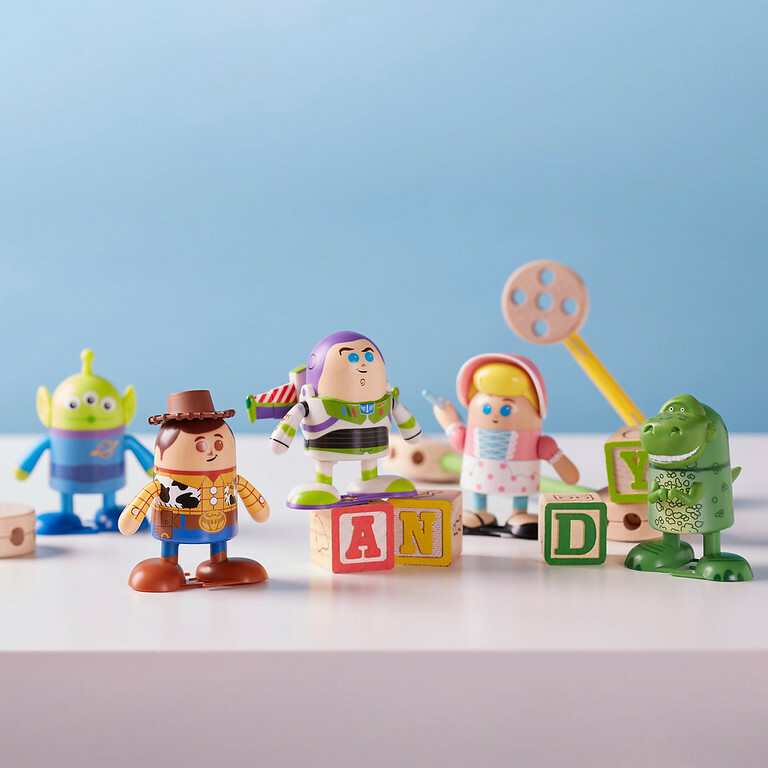 Disney Consumer Products has a winning lineup for this summer’s sequel as evidenced by the company’s recent press release. We’ve compiled a list of the most exciting announcements below. 2011 Toy Collection — Kids and collectors alike will love the assortment of products unveiled at Toy Fair ’11 including 70 new die-cast cars and a special collection of wooden toys. 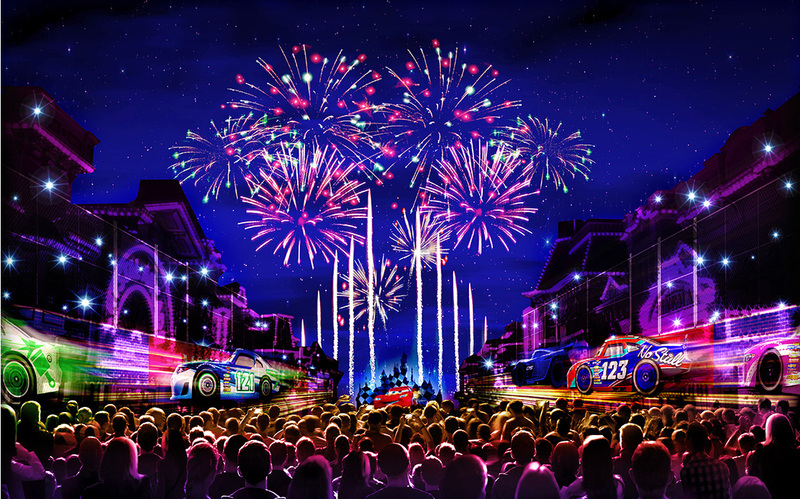 The most intriguing item in the line, Lightning McQueen Alive, promises to animate the star race car at a miniature scale. Check out more images of the upcoming Cars 2 toys here. Marvel + Pixar Comics — It was bound to happen after Disney’s acquisition of Marvel. Pixar’s series with BOOM! Comics may have just been a test run because Marvel will soon begin releasing a Pixar Comics Magazine titled Disney•Pixar Presents. The first in the series, Cars Magazine #1 written by Alan J. Porter, is set to go on sale this May. Cars 2: The Video Game — In the video game adaptation of Cars 2, players will "enroll" in C.H.R.O.M.E. (Command Headquarters for Recon Operations and Motorized Espionage) in order to train as spy-cars. Expect to get your hands on the game, developed by Avalanche Studios (TS3 Video Game), this summer. Take a look at the full press release for further information including a more in-depth look into the upcoming toy line. Of the above, what are you most excited to get your hands on? Ever wanted to get your dirty mits on original gear from a Pixar director’s own private collection? How about an original 1995 Buzz Action Figure signed by Tim Allen or perhaps even a Toy Story 3 poster signed by a cast member? Well today is your lucky day! Toy Story 3 director, Lee Unkrich, is hosting a series of auctions on eBay for you to score this insanely cool Pixar gear. All of the proceeds from each of these auctions benefits the Clinton Bush Haiti Fund. Update: New items added, finished auctions removed! Get your bids in quickly! Check out past items at this archived post. These are amazing once-in-a-lifetime offers, and not only will you be getting a cool piece of certified Pixar memorabillia, but you will also be helping people very much in need in Haiti. Update 2: Lee Unkrich’s auction has raised over $13,000 dollars for Haiti so far! New items added above. Update 3: Now the tally has gone up to $20,000 dollars raised! Keep helping Haiti, new items added. That’s it for today! Be sure to stay tuned to Lee’s Twitter feed next week when he posts more signed stuff.